Wouldn't it be great if there was an instruction manual for life? If you could flip through the book and find the answers on all your difficult questions and resolutions to all the problems you face day in and day out? Even better, wouldn't it be awesome if there was a number you could call and have someone answer your questions directly, a sort of customer service for the instruction manual? This, in essence, is what telephone psychics offer. The first question you need an answer to, however, is "are these telephone psychics for real?" In the 1980's psychic hotlines became very popular. Usually using 900 numbers or something similar, users would get charged a per minute rate to speak to a psychic, something that they would have to pay when they receive their telephone bill. Television commercials and advertisements in magazines would draw in those seeking answers and hoping to get them from psychic experts. Once on the telephone the callers would be engaged in a conversation with a professional psychic who would begin to provide them with answers. There were many different kinds of psychic hotlines, depending upon what methodology the psychics would use to answer questions. Spiritual communication, tarot cards, the I Ching, and aura reading were among the most popular. Regardless of the methodology used the goals were always the same; to provide the answers to difficult questions, to provide guidance and direction for callers who were lost and needed help. The doubters would point to the psychic hotlines and say that they were preying on the vulnerable, while the hotlines would point out that they weren't forcing people to call. The belief in the effectiveness of psychic hotlines would depend upon the user's belief in psychic powers to begin with. If a person would visit a palm reader in the neighbourhood then psychic hotline just provided an easier access to the same kind of service, right? Besides, the telephone psychics claimed to have real power and if that was the case then they were providing a real service. The question of psychic power and its own validity is an old one, a question that has been subjected to testing many times over without concrete proof. As such it becomes a personal belief, and whatever benefit is to be gained from calling a telephone psychic is also a personal interpretation. A number of reliable news sources have investigated telephone psychics, some even going undercover and applying for jobs to work for hotlines. With no prior knowledge of psychic ability, new hires were given training in tarot reading and "using their intuition" in order to address callers concerns and questions. They were also trained to drag out telephone calls as long as possible -- presumably because the company they worked for earned money by the minute. It is believed that telephone psychics use of a wry a techniques provided that he answers that could fit many individual situations. In addition using a technique called "cold reading" allows the psychics to provide details that appear to come from an otherworldly place. 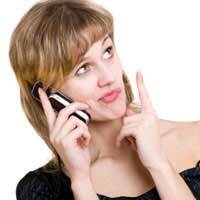 If you're considering calling a telephone psychic first be clear on where you stand on the subject of psychic ability. Even if you're a firm believer in psychic power it doesn't mean that person you are speaking to on the other end of the phone line possesses the power. Remember the old adage of buyer beware.